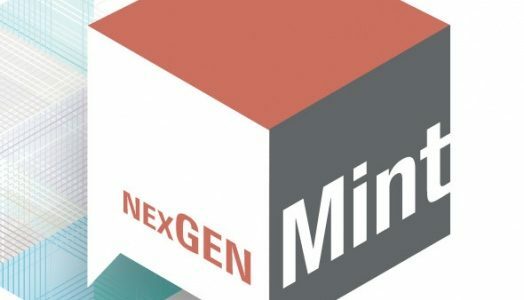 This summer as part of The Mint Museum’s NexGen Mint program for area teens, the museum is partnering with the Salvation Army Boys & Girls Club and a local teen to start a new photography club. The Mint is offering the program as part of its community outreach from the Here & Now: 80 Years of Photography at the Mint, curated by the Mint’s President & CEO, Dr. Kathleen Jameson. The Here & Now exhibition is on view through September 18 at Mint Museum Uptown. Kathyrine Hankin, a rising tenth-grader at Charlotte Country Day School, has started “Mind to Heart,” a community service organization for peer to peer academic tutoring at the Salvation Army Boys & Girls Club on Marsh Road. This winter, Kathyrine approached the Mint’s educators to propose offering a summer photography program to provide creative expression for 10-14 year olds at the Club. Cynthia Moreno, Director of Learning & Engagement for the Mint, said: “We are delighted to be offering this introductory photography program with help from Charles Smith, the Unit Director at the Marsh Road Boys and Girls Club, and Kathyrine Hankin, the local teen who helped inspire the project.” Resident artist for the program is Nicolle Driscoll, a local photographer and videographer who has worked with middle school and high school teens. The ten-session program is being offered on Monday and Tuesday afternoons through July 24. Volunteers for the program include Lexi Myers, a Mint intern from Clemson University, and Kathyrine Hankin. More information about the exhibition is available by clicking here ; more information on the NexGen Mint program available at nexgenmint.org . The Salvation Army Boys & Girls Clubs was founded locally in 1934 on North Poplar Street. Today, eight clubs serve nearly 2,500 school-aged children, including more than 1,700 members, in Mecklenburg and Union counties. Programs include academics, recreation, the arts, character and leadership, and health and life skills. The clubs are located in diverse neighborhoods from Charlotte Housing Authority sites to the nation’s only club in a homeless shelter. The Boys & Girls Clubs is a division of The Salvation Army of Greater Charlotte. For more information, visit bgccharlotte.org.